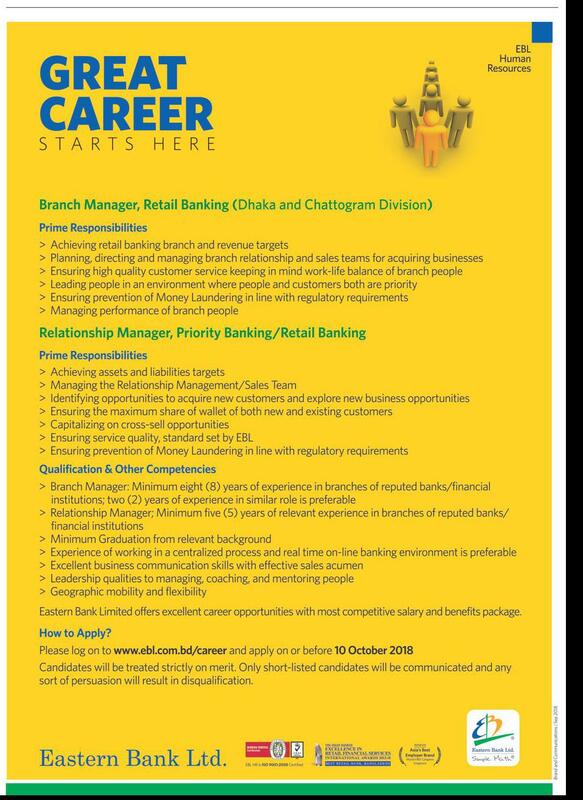 Eastern Bank Ltd. (EBL) Branch Manager (Retail Banking, Dhaka and Chattogram Division) and Relationship Manager (Priority Banking/Retail Banking) Job Circular 2018 has been published in The Daily Star on 01/10/2018. 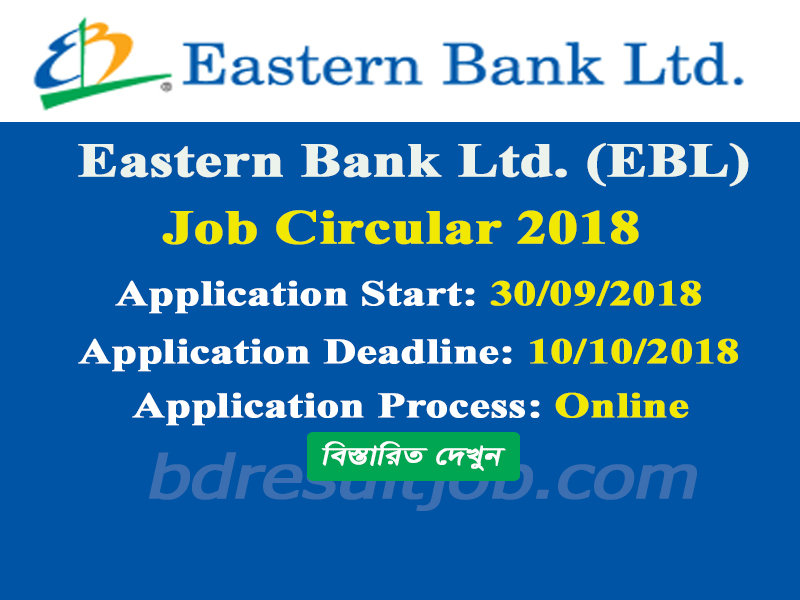 Eastern Bank Ltd. (EBL) total posts are various vacancies appoint. Every interested Bangladeshi person can apply for this job within specific time. Eastern Bank Ltd.(EBL) authority will send you Admit Card by Post. Also you can visit update news notice board at https://www.ebl.com.bd/. 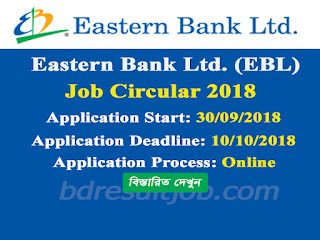 Eastern Bank Ltd. (EBL) authority will send you Admit Card, Exam Center and Location. Also you can visit update news notice Board at https://www.ebl.com.bd/. Eastern Bank Ltd. (EBL) Authority will published Their notice board. Also you can visit update news notice board at https://www.ebl.com.bd/.